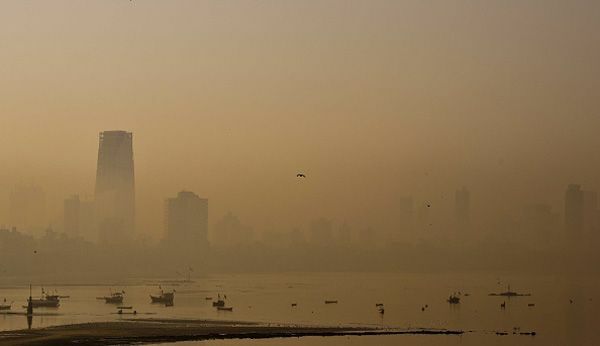 As Delhi gears up for its odd-even road rationing scheme in April, Mumbai may see an even more radical measure to reduce air pollution if the Brihanmumbai Municipal Corporation (BMC), India's biggest civic body, sees through a proposal to completely ban all new car and bike registrations in the city after a certain date, reports The Economic Times. The proposal submitted last month also intends to create a ceiling on new vehicle registrations every year, and approve registrations only after a vehicle buyer submits proof of parking space in a housing society or complex. The idea is to cut down the number of new vehicles in the city and help avoid parking congestion. Other measures in the BMC's Comprehensive Mobility Plan (CMP) include a 'congestion tax' in some zones of Mumbai, where cars and bikes will be banned during certain hours and a fine must be paid if there is a violation. To help increase mobility and reduce the need for private transport, the CMP also proposes to build 34 exclusive bus lanes to increase the speed and frequency of buses and intra-city bus terminals, as well as widen 707 km of roads by removing encroachments, and charge a fee for parking on roads. Also in the plan are a dedicated metro network, 29 rail overbridges, 19 flyovers, six elevated roads, and 100 cycling tracks, all for the cost of about Rs 1.55 lakh crore.